Alan is married to Sharon and has two children Ben and Sarah. Alan and Sharon have made their home in Narrawallee however like many real estate families have also lived in Mollymook, Ulladulla and Sydney. The family are involved in many community and sporting activities and all love living on the south coast. Alan started in real estate in 1985. His background and experience is extensive and covers all aspects of the industry including residential, commercial, industrial and development. He started at E.A. Cowley & Sons in 1993 and bought the business in 1998. Sharon has worked in real estate since her and husband Alan purchased Cowleys Real Estate in 1998. Sharon's role is Office Manager and Administrator. She worked for many years in Sydney in the Stock Broking Industry and later returned to Ulladulla with Alan and their two children Ben & Sarah. Cathy Holmes is all about family. She understands like no other the difference between a house and a home, so no matter what stage of life you are in and whether you are buying, renting or selling she will guide you and advise you throughout the entire process, with integrity, honesty and a big smile. Cathy backs her talent to match people and homes with the experience of 20+ years in business (sales, marketing, customer service) and a huge local network. Call Cathy now you will not regret it. Jemma has a great passion for Real Estate and made the leap to start her career in the industry two years ago. Having grown up in the area and with a strong family history, her network and abundance of local knowledge is invaluable. With experience in purchasing and selling property herself, she understands the pressure that is felt and how important communication is during the transaction and can assure you will be included during the entire process. Jemma is dedicated to offering an honest and professional service to all buyers and sellers. Jeremy has an extensive background in the real estate industry with 9 years experience. He has worked in both the Sales Department and Property Management Department. He is currently working as Property Manager for both Residential homes and Commercial properties. Jeremy is highly committed to all aspects of the job and is used to hectic schedules both at work and at home with five small children keeping him on his toes. 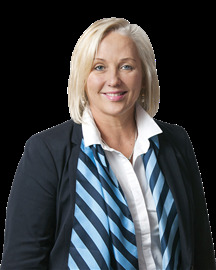 Linda has been in the real estate industry on and off for over 8 years, starting as a Property Officer and working her way up to Property Manager. She has recently returned to our beautiful area after 8 years in Sydney, and couldn't be happier! Linda has gained a world of property management experience over the years which has resulted in a great work ethic and more importantly, a great sense of humour. Linda manages both Residential and Holiday Properties. Kathryn grew up in Ulladulla and after finishing school left the area to pursue study and work. After many years Kathryn has returned to our beautiful area with her husband and two children. Kathryn brings to the Ulladulla team vast experience in administration and office duties. 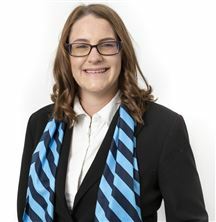 Kathryn previously worked as a Recruitment Consultant and then worked for seven years with the Royal Australian Air Force. Kay brings many years of office experience to our team, working for a leading Sydney company before moving to Ulladulla. Kay's duties at Harcourts include client liaison, reception and holiday accommodation. Stop looking, you've found it! Is This Your Next Pit Stop? A little bit of country!